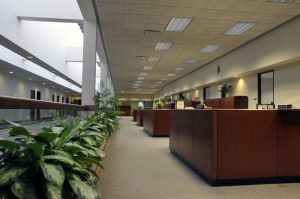 When you need commercial furniture for your new or expanding business in Alpharetta, Georgia, or a surrounding community, turn to the experts at NorthPoint Office Furniture. Since 1994, we have proudly served companies throughout the Metro Atlanta area by providing them with premium new and used commercial furniture options. In our 8,000-square-foot showroom, you’ll find a large selection of beautiful and modern pieces that will enhance any office, as well as fully staged displays that will allow you to see how the furniture will look in your space. For more information about the commercial furniture we have available for businesses in or around Alpharetta, GA, call NorthPoint today.